There are a wide variety of channels that golf courses use to promote tee times, promotions, and events. Perhaps one of the most overlooked channels is social media. Yes, most courses make use of Facebook, Twitter, and Instagram but most operations don't go beyond sharing occasional updates and announcements. By nature, golf is a social activity. Golf operators know how customers love bragging about their handicap or that time they shot an eagle on hole 7. When there's so much camaraderie in the club house and on the golf course, why not encourage players to take that competitive spirit online? Social sharing is about empowering customers to share their experiences at your golf course with their friends. Every Instagram post, Tweet, or Facebook comment is a small but incredibly meaningful promotion of your operation. Up your golf marketing game. Get our most in-depth guide yet! As a start, your social media channels should be constantly broadcasting to your audiences. Consistently share updates, promotions, event announcements, golf advice, and even funny pictures or videos. Active channels make your course look vibrant, interesting, and fun! Best of all, it's free promotion. 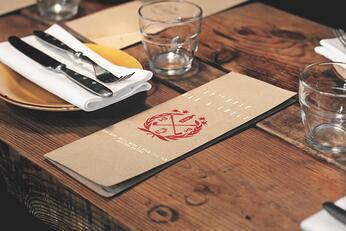 Take it a step further and directly engage with your customers. If they're comfortable with it, congratulate players publicly for getting a hole in one, playing a stellar round, winning a tournament, or being your number one customer. Not only will this encourage competition between your member base, you'll also get organic shares directly from your customers while demonstrating that your operation values its customers and recognizes success and achievement. Using a hashtag that is specific to your golf course isn't meant for your own social posts, even though every post should incorporate it. What hashtags are most useful for is giving your audience a specific channel on which to share their own posts about your course. For example, when you associate a hashtag with your restaurant and ask customers to share their meal on Instagram with a specific hashtag, you'll see more posts about your restaurant and golf course shared online. Plus, you can track engagement by measuring how many posts are populating the hashtag. It's really not that difficult to ask, we've seen restaurants that include humorous instructions on the menu explaining how and where to share a post. Of course, you can encourage even more sharing by offering promotions and discounts to customers who share posts about your restaurant or golf course very often. One strategy that many entertainment companies use is hosting a contest on social media. 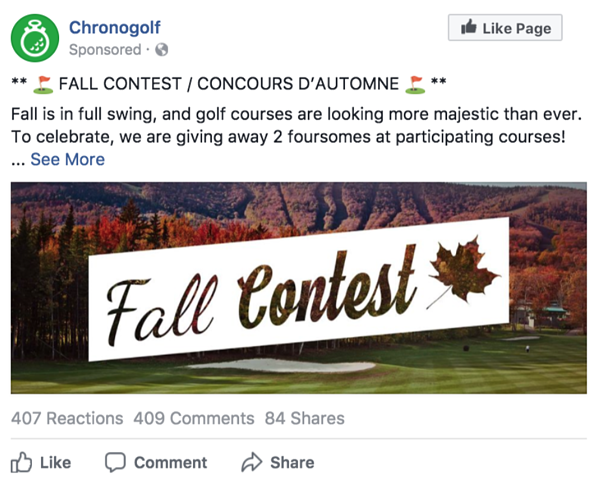 For example, at Chronogolf we hosted an contest where we entered people into a draw for free tee times if they liked, shared, and tagged a friend in the comments of a boosted Facebook post. After a few weeks our post had hundreds of likes, shares, and comments. For a very low cost we boosted the post and reached thousands of people with a meaningful message that effectively promoted our brand and products in the low season of the year. 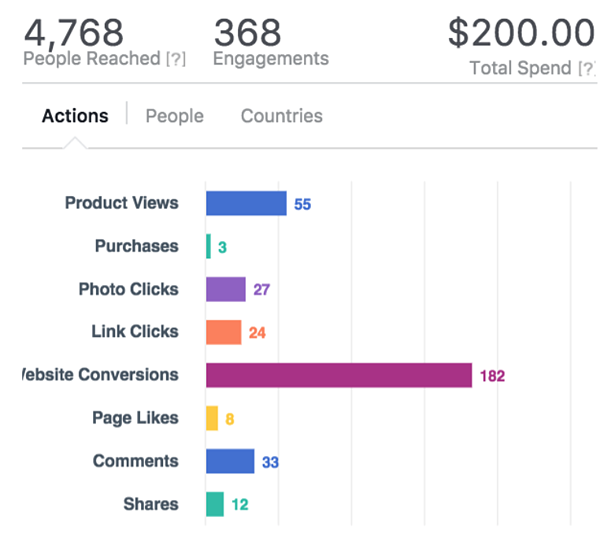 Even better, our investment into the boosted Facebook post translated into thousands more organic impressions and 10 more reviews of our website and app on our Facebook page. These organic impressions came from the hundreds of shares and comments. 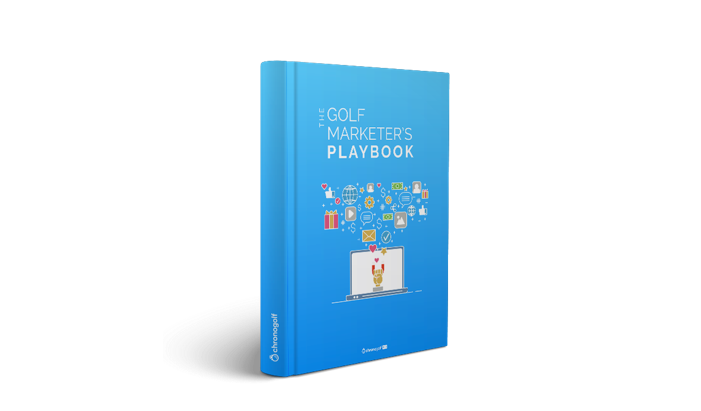 Golf courses can easily copy this model and generate tons of impressions, interest, and ultimately bookings at the course. One of easiest segments of people who are willing to share your content on social media is your own staff! 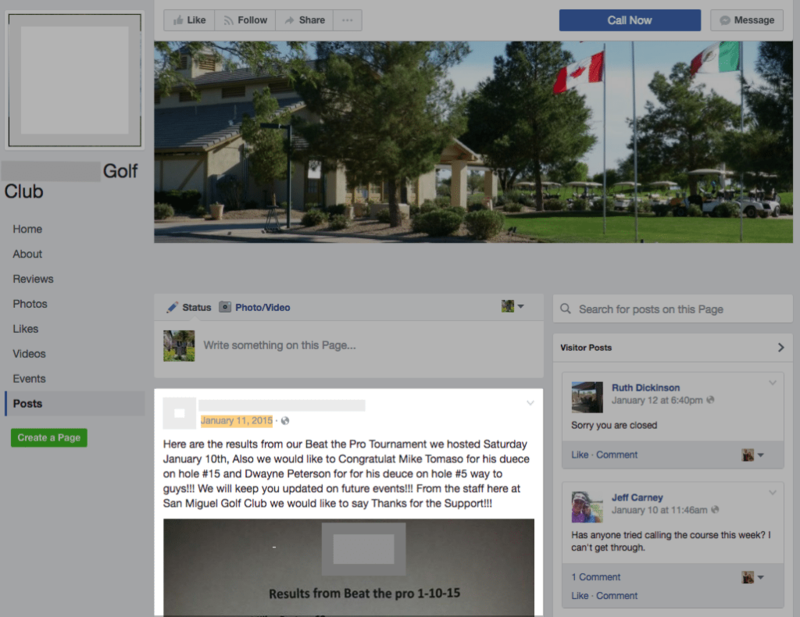 Don’t just share posts from your club’s Facebook page, get your golf professionals sharing everything that you post. Since your pros are arguably thought leaders and influencers in golf, there's a good chance they are connected online with audiences who might be interested in playing your course. Encourage them to share advice, praise for achievement, promotions and deals. Golfers who follow these posts will get a much more meaningful impression than a simple share from your golf course's Facebook page. Chances are you also have millennials who work as part of your staff, encourage them to share posts as much as possible since they are connected with young audiences who may be interested in playing a game or taking lessons. One way to encourage them to share posts about your golf course is by offering incentives. It goes a long way to see young people and golf professionals share course related promotions, announcements, and especially advice. Don't underestimate how much your staff represents an opportunity to get your course in front of a much wider audience with a more personal touch. If you integrate with a modern tee sheet, it can help with regularly generating promotions on your Facebook page. For example, if you decide to promote an under utilized tee time on your tee sheet, modern golf management software can automatically share details about the detail on your Facebook page. Keeping your social media pages active can be difficult and time consuming, however there are a lot of social media tools that can help with scheduling and publishing regular posts. It's much more efficient to plan your sharing schedule and set up your posts in one fell swoop, than to make a post every single day. 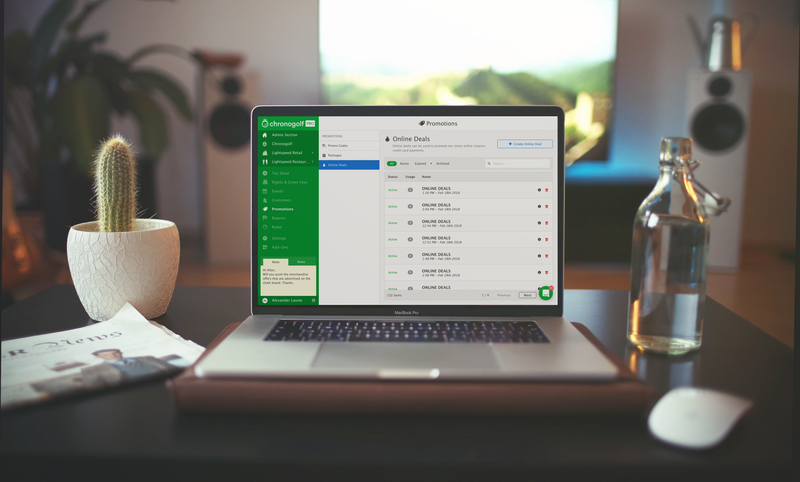 A very simple social media post publisher that we've used here at Chronogolf is Hootsuite.